Have you ever wondered what it is like to see our Bighorn Sheep in Full Rutting Action? 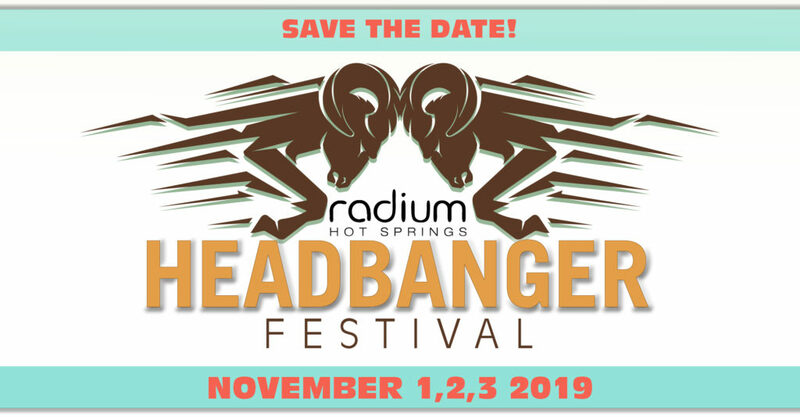 Join us for the 2019 Headbanger Festival in Radium Hot Springs. 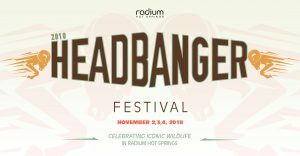 The Headbanger Festival is set to be a hands on event, full of interactive and educational workshops, unique presentations, and a whole lot of fun! The Bighorn Sheep have been a focal attraction in the Village of Radium Hot Springs for decades and their daily presence and beauty is something we in Radium are proud to celebrate. At the Radium Hot Springs Headbanger Festival we do just that! This event will not only give you the opportunity to witness the Bighorn Sheep in their annual rut, you will also get a chance to learn all about them from our lineup of talented presenters. Stay tuned for spring 2019 we will then be posting information on our 2019 Headbanger Festival line up of Presenters! In the meantime, review the 2018 program. The 2018 Headbanger Festival was hosted primarily at the newly opened Radium Hot Springs Centre, the only event not hosted at the Radium Hot Springs Centre was the Bighorn Experience. 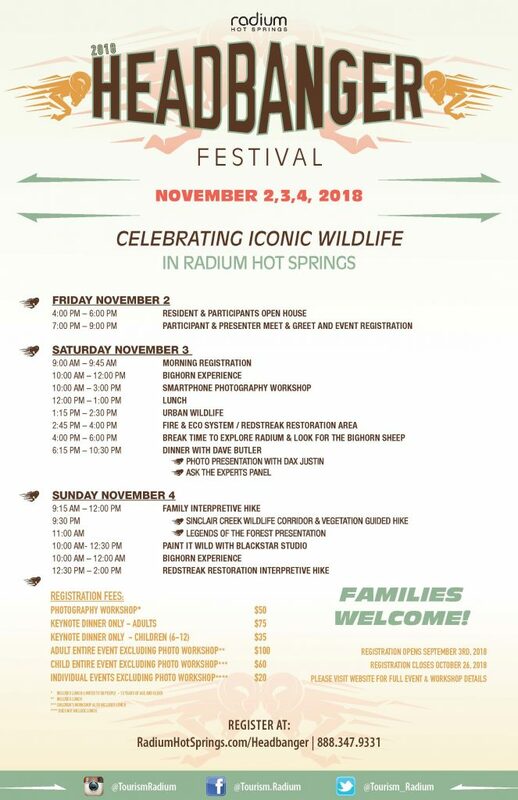 We host this event at the Radium Hot Springs Visitor Centre to preserve the wildlife mounts in their exhibit! From The Lorax to The Monkey Wrench Gang to Full Curl: the role of ‘eco-fiction’ in conservation. 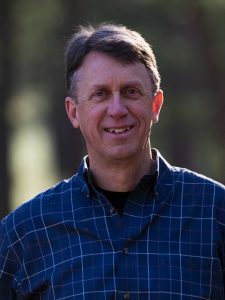 Dave Butler is a forester, biologist, novelist and photographer from Cranbrook, BC. He’s the author of the Jenny Willson mystery series. The first novel in the series, Full Curl, won the Arthur Ellis Award for Best First Crime Novel in Canada in 2018, and was short-listed for the 2018 RakutenKobo Emerging Writer Award in the mystery category. 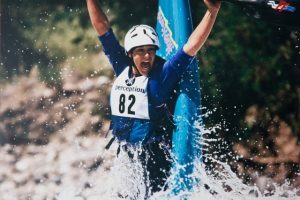 Dave is also Director of Sustainability at Canadian Mountain Holidays, a Fellow of the Royal Canadian Geographic Society, and a recipient of the Queen Elizabeth II Diamond Jubilee medal. The focus of the Headbanger Festival Photography workshop to is see your photo talents shine – all welcome, but must have a photography interest. Dax Justin is a Canadian Explorer, Adventure/Landscape photographer, visual content creator, and destination storyteller based in Alberta, Canada. Working with travel brands, adventure companies, agencies and destinations to help tell their stories by capturing and delivering high-quality visual content rooted in social narrative that is both creative and immersive. 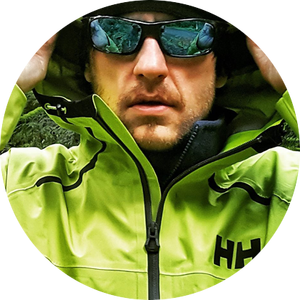 Dax’s photographic work focuses on outdoor adventure, landscapes, mountain lifestyle, people and sports. The photography captured on expeditions bring the adventure to a worldwide online audience in real time, expanding brand reach through social media and travel networks. Darcee O’Hearn lives in a small riverside city, Trail BC with my husband, 3 children, handful of bunnies, and thousands of bees. I spent 6 years working in forestry, and over 17 years teaching everything she knows about our natural world. Author of a new genre of children’s books called, “Legends of the Forest” Inside these wonderfully illustrated books you will find a heartwarming story, science and craft projects, games, and curriculum based information to inspire kids aged 4-12. Having said that, these books are targeted for any age group because of the messages of sustainable and green living, which applies to everyone. 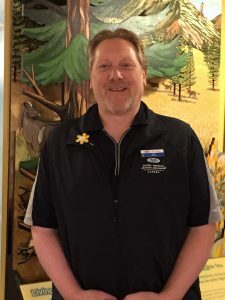 Kent is passionate about sharing his knowledge and teaching others about our Bighorn Sheep and other local ungulates and safety when out enjoying our beautiful part of the world. Come, meet our Bighorn Sheep! 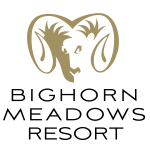 Learn about Ram 528, Broomer, and Ralph the One Horn Bighorn! 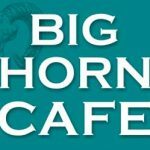 This interactive educational experience will help you understand the habits and what makes the Bighorn Herd so unique to Radium and why the Village of Radium Hot Springs find these majestic animals so important to the community. Knowledgeable staff will provide a hands-on experience with props and tools and storytelling. The Bighorn Experience also includes video, take home printed material and a small token to say thank you for joining us. Join us and spend a couple of hours at the Radium Hot Springs Visitor Centre and learn about what makes Radium tick! 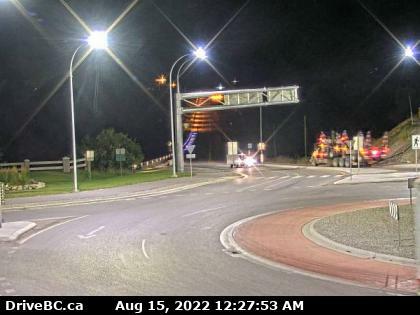 … The Radium Bighorns! Passionate about reducing human-wildlife conflict, Thea will share her insights about urban wildlife biology and address issues associated with living in a major wildlife corridor. Thea Rodgers is the WildSafe BC Community Coordinator for Radium Hot Springs and RDEK Areas F & G. Thea has a background in environmental research, education, and community work. 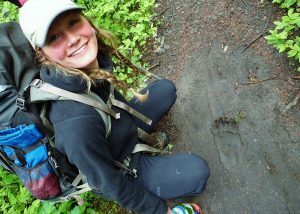 Her love of mountains and the small-town lifestyle is what brought her back to the Kootenays after completing her BSc at the University of British Columbia in Vancouver. Paint it Wild with Black Star Studios! Black Star is a unique and inspiring art space located in the heart of downtown Invermere, BC. Featuring the handmade creations of over 70 talented Canadian artists, the diverse gallery space is complimented by three working artist studios and a fun workshop space offering art classes daily. Come get inspired and make your own masterpiece to take home! We love art and we love getting Creative! Come have some fun with us! Registration for the Headbanger Festival Opens in June!